Is Liquor Law Reform Possible? Let’s hope a legislative Oklahoma task force studying the issue of allowing the sale of cold strong beer and wine in grocery stores puts the interests of consumers above liquor retailers. The liquor retailers-basically liquor store owners-have made it clear in past years they don’t want to change Oklahoma’s archaic and ridiculous liquor laws that make our state seem backwards and make it a hassle for customers. But with the grocery store Whole Foods Market on its way to Oklahoma City and with the Thunder putting the city consistently in the national spotlight, maybe common sense can prevail on the issue and we can get real reform next legislative session. The two main arguments against allowing strong beer and wine in grocery stores remain extremely weak: (1) It would lower sales in liquor stores, and (2) it would increase the sale of alcoholic beverages to minors. The second argument lacks basic common sense. Why would grocery stores do a worse job asking for age identification than liquor stores? Grocery stores already id people buying 3.2 beer. It’s really just a nonsensical argument created to protect liquor store owners here. You can buy wine in Texas grocery stores. You can buy wine-and liquor-in Missouri grocery stores. What makes Oklahoma so different? In any event, even if you absolutely must accept the premise of these arguments, there are solutions. First, the state could also allow liquor stores to sell cold beer, mixers, ice and food. Many Oklahomans are probably familiar with the Spec’s liquor store chain in Texas. These are large stores that often have a full deli and offer specialty foods-a wide selection of olives, for example-and snacks, along with booze. These stores don’t replace grocery stores, but they do make it convenient for customers. Second, the state, if its leaders were really worried about the issue, could simply require stringent identification procedures at grocery stores for those people buying wine or beer. Make sure everyone buying beer or wine is identified. Require two forms of identification. Whatever. Once the state determined that the stringent rules are unnecessary-and I do think this would happen-they could change the rules. 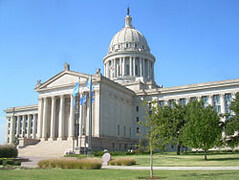 (1) If the issue goes to the polls, limit it initially to metropolitan counties in the Tulsa and Oklahoma City area. (2) Add enough taxes to the new beer and wine sales in order to fund any increase in the government monitoring of liquor sales. (3) Clean up any regulations that make if difficult for liquor stores to stock certain types of products. (4) Allow wine tasting in grocery stores. If grocery stores have a restaurant-like food counter-Whole Foods in downtown Austin has a few-then allow beer and wine to be sold by the glass at those spots. The bottom line is that liquor store owners are probably not going to get behind any proposal that allows increased alcoholic beverage sales at grocery stores unless they can sell more items and cold beer. Even then, some owners will balk at the idea. What needs to happen is for Oklahoma leaders-Republicans and Democrats-to stand up against the liquor lobby once and for all. It only needs to happen one time.